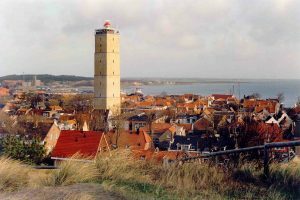 Terschelling is both a municipality and an island. Located in the northern Netherlands, this West Frisian island is one of the largest in the area. It features more than 70 km of biking paths and the De Noordvaarder natural reserve. The 400 year old De Brandaris lighthouse is also a major tourist attraction on the island. Tourism is Terschelling’s main source of income. Its yearly Oerol Festival attracts tourists from all over the world. During the festival, theater performances take place all over the island, and performers take advantage of the island’s naturally beautiful landscape in their performances. Terschelling island was formed in the Middle Ages from the original Wexalia island in the east and the sandy regions of De Schelling in the west. Wexalia was the medieval name used for the eastern part of the island, but its name disappeared towards the end of the Middle Ages. It was last used in a treaty signed by Folkerus Rejiner Popma (the ruler of the island) and King Eward IV in 1482. There are traces of civilization on the island that date all the way back to 850 AD. During this time, a small wooden church was built on a hill that was later used as a cemetery. Throughout history, there was great conflict between inhabitants of the eastern side of the island and inhabitants of the western side of the island. In 1612, the island was divided into separate, independent entities known as West-Terschelling and East-Terschelling. It was not until the French occupation in the 19th century that the island would once again reunite. Both Dutch and Frisian are spoken in Terschelling. The Frisian dialects dominated the eastern and western parts of the island throughout history. The Midslands Dutch dialect dominated the center of the island. Although these dialects are still spoken today, they are on the decline and are being replaced by standard Dutch. 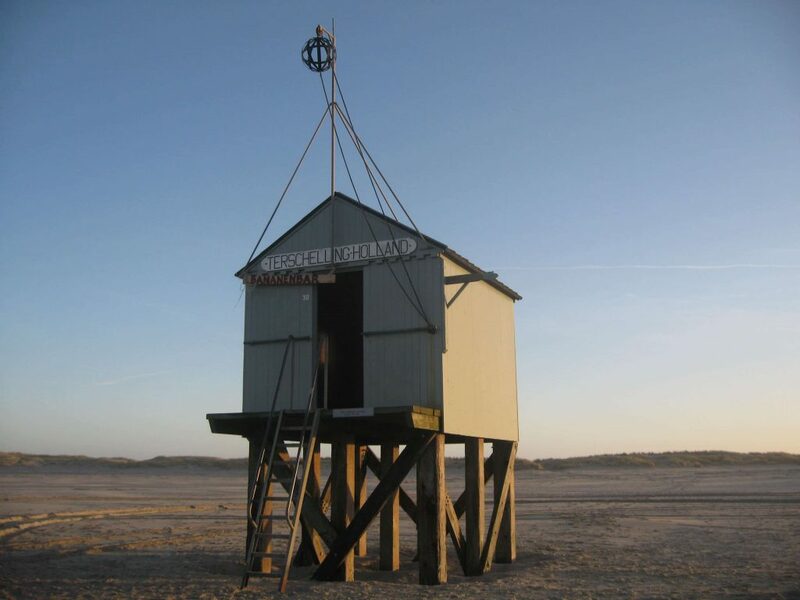 Beaches – Terschelling is home to several award-winning beaches. Each year, thousands of tourists flock to the island to relax on Terschelling’s beaches and escape the stresses of everyday life. Bird watching – The Des Boschplaat nature reserve is located on the western side of the island. Here, there are more than 60 different species of birds, which makes Terschelling an excellent destination for bird enthusiasts. Just keep in mind that this area is closed between March 15 and August 15 for breeding season. Oerol Festival – The Oreol Festival is one of the largest theater, music and arts festivals in Europe. It attracts more than 50,000 tourists each year. If you plan on visiting Terschelling in the early summer, this is definitely a must-see. Museum t Behouden Huys – A historical museum located in West-Terschelling. Wrakkenmuseum – A cultural history museum that features objects found while beachcombing and artifacts from shipwrecks. Brandaris Lighthouse – A historic lighthouse that was originally built in 1323, but was destroyed in 1570. The lighthouse that stands today was built in 1594 and is considered a national monument. Formerum Windmill – This is the last remaining mill on Terschelling island. It was originally used to mill grain for the island’s inhabitants, but today it is best known for the coffee bar housed inside. Built in 1838, the windmill is considered a national monument. Terschelling is also home to several excellent restaurants and cafes. Most establishments are open for breakfast until 10AM. Be sure to stop by the Steakhouse Brasserie Brandaris and De Duyf before you leave. Terschelling is accessible via ferry from Franeker. One of the larger ferries, known as ms Friesland, takes approximately one hour and 45 minutes to reach the island. The ferry can also accommodate bikes and cars with advanced reservations. Reservations are not required for passengers, but they are recommended. Reservations can be made online or over the phone. Ferry times vary, but they run several times throughout the day. If you don’t plan on traveling with a bike or car, you can opt to ride on a smaller boat. These only take 45 minutes to reach the island. The island itself is relatively small. Cars are permitted, but most people choose to explore the island via bike or walking. Local tourist offices and hotels will usually offer bike rentals as well.